Who Should You Choose For BMW Repairs? Does it Matter Where You Take Your BMW for Maintenance? 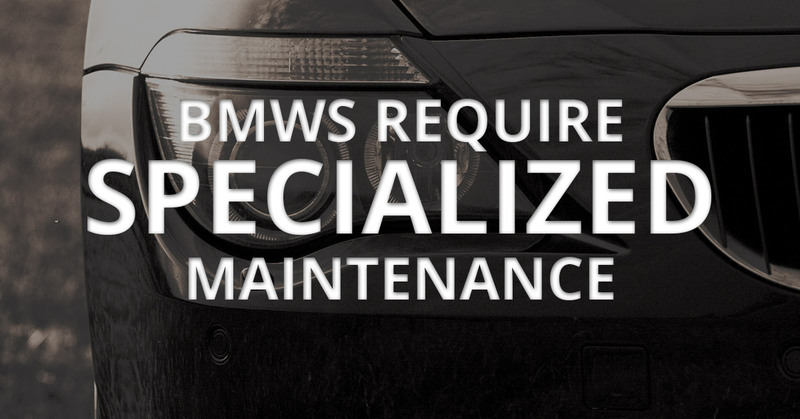 When it comes to BMW’s, maintenance and repairs can be a bit tricky. Specialized tools, tightly packed parts, and unfamiliar design can come together to create a nightmare maintenance scenario for a car mechanic. Luckily, dedicated import vehicle maintenance centers exist to handle these repairs. At Kudos Import and Performance, we make it our mission to provide the best repair and maintenance services for all import vehicle owners. In today’s post, we are going to go over some of the reasons that, as a BMW owner, you should always take your vehicle into a dedicated import maintenance shop. Arguably the most important reason to take your BMW to an import maintenance shop is because the mechanics working there have knowledge that other mechanics may not have. BMW repairs require a certain level of knowledge about the structure of BMW’s in general and, for many mechanics, BMW’s may not be a vehicle that they typically deal with. Think of it this way, if your BMW is experiencing a mechanical issue who do you want to take it to, the mechanic who spends all day fixing Fords or the mechanic who spends all day fixing BMW’s? While we aren’t saying that you have to be a rocket scientist in order to repair a BMW, it does help to have experience in dealing with these highly engineered vehicle. Mechanics who have dealt with a lot of BMW repairs over the years are much more likely to know exactly what is wrong with your vehicle and what the best course of action is in fixing it. If you have ever looked under the hood of your BMW, you are quite aware that there is a lot going on. BMW’s engines are notorious for being tightly packed into the frame of the vehicle and, as a result, it can take quite some time to get to certain parts. When you choose a mechanic who specializes in import vehicles, such as BMW’s, they know to expect this. They will be able to more quickly get to the issue that is plaguing your BMW and no exactly what to do to fix it. Why does this matter? It matters because, as most car owners come to realize eventually, mechanics don’t just charge your for the parts they have to use, they also charge you for their time. If you go to in import auto repair shop for your BMW repair needs, it will almost always take less time than if you took your vehicle to a mechanic that does not specialize in import vehicles. Join us again next time as we continue to go over the reason that you should always choose an import auto mechanic for your BMW repair needs. If you’re in the Chesterfield and have an import vehicle that is need of maintenance or repairs, please give us a cal at Kudos Import and Performance. We have mechanical experience with a wide range of import vehicles and are confident that we can fix any issue that you bring to us.